Written by an experienced Marketing professional, this book offers good advice and an honest overview of what working in this sector is really like. With helpful advice on the sort of person you will have to be and what skills and personal qualities you should have, this guide goes on to explain the type of training and qualifications that are on offer, ways of getting into the industry, case studies to get a real insight into the day to day work, useful resources and contact information and an overview of how the industry has come to be what it is today. 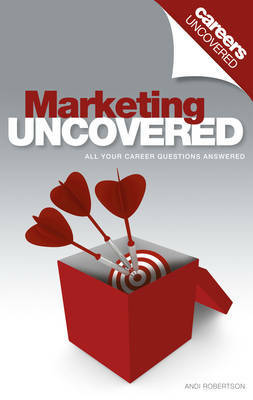 It is a great book for people who are serious about a career in Marketing and want realistic, trustworthy information on this sector.